Discover all that great things going with the full calendar of events by clicking the image below or by clicking HERE! 28 Days Plus One is a collaborative effort from area organizations and businesses, including North Central Michigan College, Crooked Tree Arts Center, the Petoskey District Library, Downtown Petoskey, the Petoskey Regional Chamber of Commerce, Great Lakes Chamber Orchestra, Little Traverse Bay Bands of Odawa Indians, Bay View Association, Petoskey News-Review and more. Book Chat, Thursday, February 18, 10:30 a.m. – 11:30 a.m. Petoskey District Library. Come chat about what you are reading and listen to other participants share theirs. International Lecture: Digging Up History in Israel, Thursday, February 18, 12 p.m. – 1 p.m., North Central’s Library Conference Center. Instructor and archaeologist Owen Chesnut will discuss the history of Ashdod-Yam and the fascinating discoveries made at this site. Free and open to the public. Photoshop Decals & Ceramics Class, Friday, February 19, 12 p.m. – 5 p.m., North Central Main Classroom Building, Room 18. Use Photoshop to develop a digital design and print as a decal to be fired on tile. Pick up beautiful fired tiles the next week. North Central art instructors Shanna Robinson and Anne Morningstar demonstrate how technology and ceramics combine beautifully. $60 includes materials. Call 231-348-6613 to register. Crafternoons @ the Library, Monday, February 22, 3:30 p.m. – 5 p.m. Petoskey District Library. An arts & crafts program to explore different media and learn something too! Please register @ the library. Friends@the Carnegie with Mary Stewart Adams, Monday, February 22, 7 p.m.- 8 p.m. Petoskey District Library. Adams will take attendees on a journey back to the late 1700's to the time of the Founding Fathers and the American Revolution, to consider the role of astronomy at that time. Crooked Tree Arts Center invites you to meet photographer, Cynthia Greig on Tuesday, Feb 23 as she presents her work in a Coffee @ Ten lecture. Free and open to the public with coffee provided by Roast and Toast and baked goods from Johan's. Call 231-348-6613 to register. 3D Printing Class, Wednesday, February 24, 5:30 p.m. – 7 p.m. Petoskey District Library. Register for this class on learning the basics of using the library's 3D printers - once completed, participants are certified to come use the printers on their own. 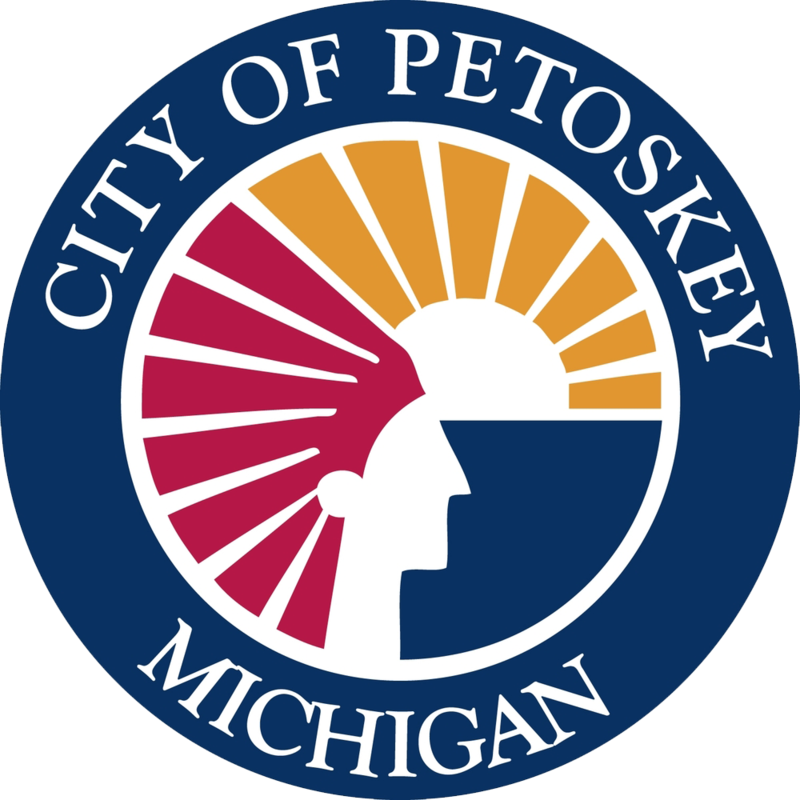 www.petoskeylibrary.org. Take a winter stroll through the Harris Gardens at North Central Michigan College. View exceptional sculpture from internationally renowned artists. Maps are available. Bring your cell phone and dial 231-439-6400 and type in the artwork number from the map for a complete description of each sculpture. Snowshoe or cross country ski through Bay View Association’s unplowed streets. Torchlight Snowshoe, Saturday, February 27, 5 p.m. – 9 p.m., Camp Daggett. Experience and enjoy the ambiance of snow-covered trails illuminated by torchlight. Bearcub Outfitters of Petoskey has once again graciously sponsored this family-fun event. Afterward, come inside Camp Daggett’s main lodge for a cup of hot chocolate, freshly baked cookies and to warm-up by the crackling fire in camp’s beautiful main lodge. Buy raffle tickets for great Bearcub products with all proceeds going to Camp Daggett. Admission is free, donations are encouraged, and snowshoes are available for all ages! It's a hit! The CTAC Artisan and Farmers Market is held every Friday from 10 a.m. - 1 p.m. Organic produce, baked goods, handmade craftwork, honey, gourmet locally-roasted coffee, herbal teas and wearable goods--all provided by our friends and neighbors who make their living growing, baking and creating. February Firkin' Fridays Only @TAP30! Dates: 2/19 and on 2/26. Every Friday in February, TAP30 will feature a different Firkin! Cask-Conditioned and served using only gravity! Stop in each week and see what’s pouring! See you soon, Cheers! Sundays – Happy Hour all day and 9:30 p.m. Trivia! Tuesdays – 9 p.m. music! Fridays – Prime Rib Fridays start at 4 p.m. and music begins at 10 p.m.
Saturdays – Music begins at 10 p.m. Check out the events calendar at www.cityparkgrill.com. Sage Wine Tastings, Odawa Casino. Every Saturday – 3 p.m. – 4:30 p.m. Sample seven wines handpicked by Sage’s expert steward. This is your exclusive opportunity to find your new favorite label and unwind on a weekend afternoon for only $10/person. Odawa Casino has great entertainment every Friday and Saturday night in February! And don’t miss the Funny Business Comedy Show in the Ozone on Saturdays at 9 p.m. starting February 6 through April. First Saturday of every month, 7:30 p.m. – 10 p.m. – Blissfest Old Time Country Dance. $3/person; $5/couple or $7/family. Children welcome. Beards Brewery--We Want Your Art! Contest:To celebrate local craft for the month of February, Beards Brewery is hosting a Leap Day-themed art contest. Orbita Tumultuo, a new mystery beer recipe, has been developed to inspire local artists to create their own original artwork to reflect the style and theme of the month. Pub-goers will be the voters, and the winner shall not only have his or her art on display in conjunction with the beer, but will also receive a month's Coaster Club membership. For more information, please pick up an application at the pub: 207A Howard Street. Coloring at the Library, Tuesdays, February 2-23, 5:30 p.m. – 6:30 p.m. Petoskey District Library. Stop by for an hour and see what all the fuss is about! Free. CTAC is the place to be in February! All month long, visitors can enjoy three photography exhibits-always free and open to the public - six days a week! www.crookedtree.org. - Up North Captured features the work of local photographers who are members of the Boyne Arts Collective, Charlevoix Photography Club and the Crooked Tree Photographic Society. - 35th Annual Juried Photography Exhibition displays 48 stunning photographs. - Cynthia Greig: True Likeness: Representations and Nature Morte is a one-woman show. The images push the viewers’ expectations of photography and create great discussion. A Creative Evening of Art & Wine, Thursday, February 18, 6 p.m. – 8:30 p.m. Stafford’s Gallery of Art. Includes all supplies, wine and light hors d'oeuvres. Each guest will take home a finished piece of artwork. Boyne City artist Dawn Cain will provide step-by-step instructions allowing you to create a one-of-a-kind masterpiece on canvas. $50 per person. Reservations required. Call 231-347-0142. Swirl, Thursday, February 25, 5:30 p.m. – 7 p.m. Crooked Tree Arts Center. Always a good bet for a fun start to your Thursday, Swirl features Petoskey Brewing and appetizers from Vernales. Music by Oh Brother, Big Sister. This Swirl is a collaboration with Blissfest Music Organization. $15 advance and $20 at the door. www.crookedtree.org.